Limited Edition 20…Mounted on a marble and walnut base. Call or e-mail for availability. 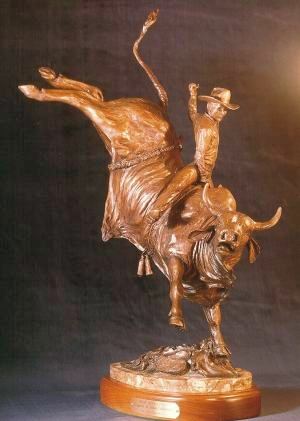 This sculpture, created in 1987, was approved and signed by Harry Tompkins before casting in bronze.